Important! 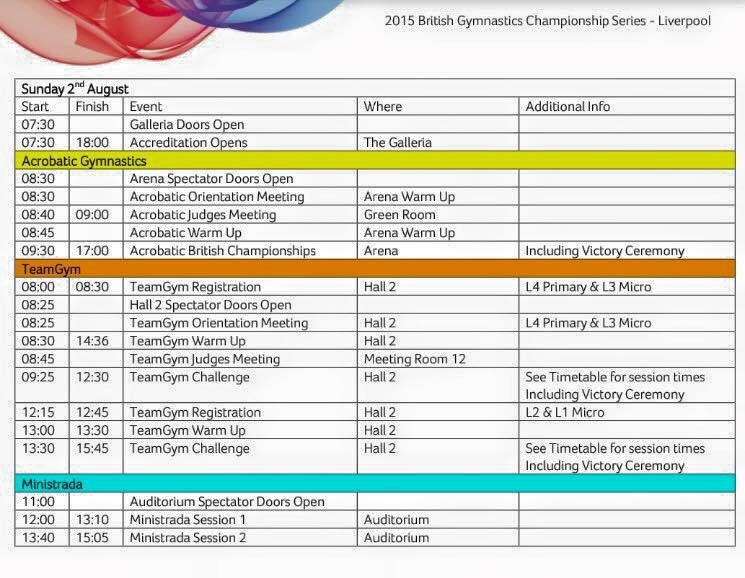 British teamgym championship / level four & micro challenge event final info! Important! 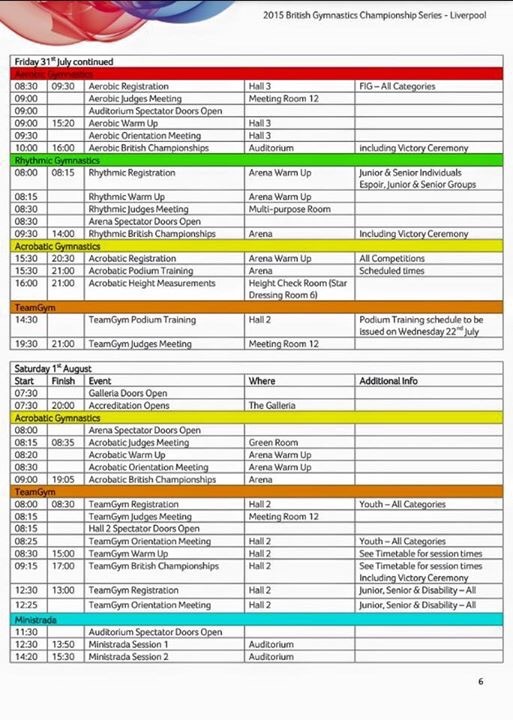 British teamgym championship / level four & micro challenge event final info. 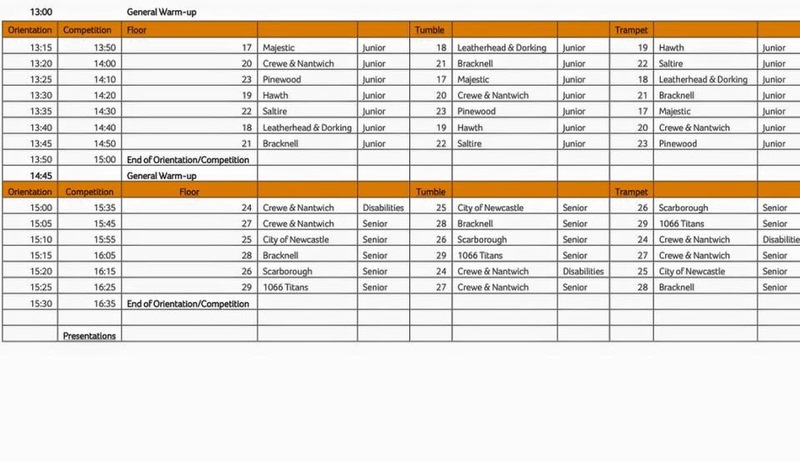 Please check event timetable for your competition, if you are not sure which team your child is in or the time please ask your child’s coach. Arrive 10 minutes before the start of the registration time for your child’s event. 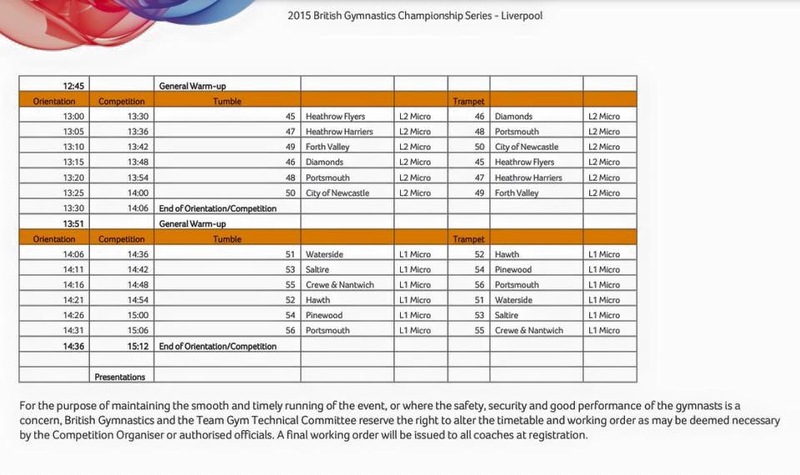 Please ensure gymnasts are dressed ready to warm up with hair ready and full kit on. 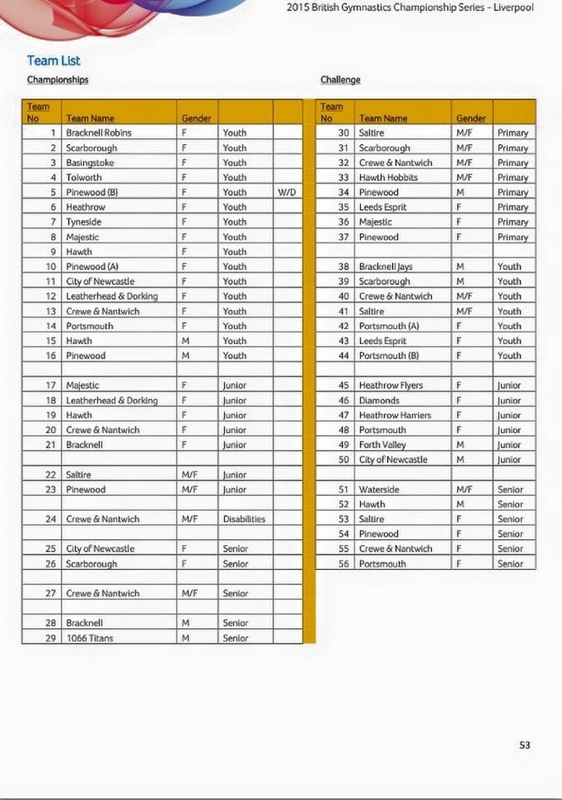 Tracksuit tops will be given out to team members and must be worn with full kit and sports trainers. 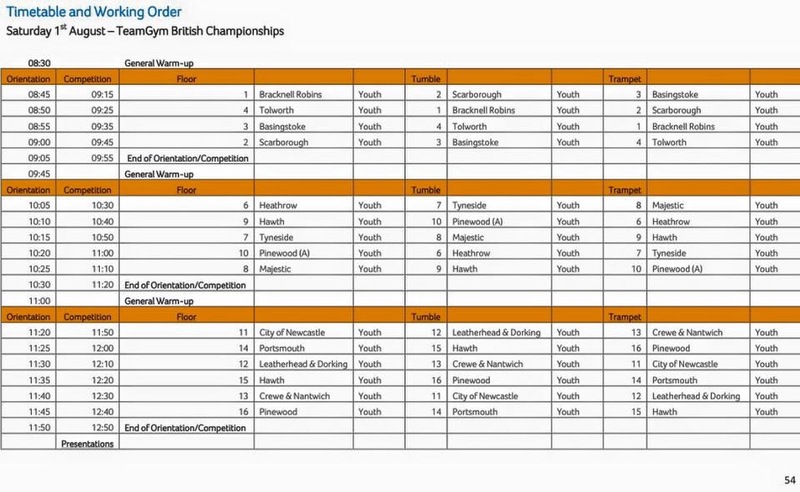 Some gymnasts still have not returned their kit from Edinburgh and and we only have enough jackets for the gymnasts competing so please ensure all outstanding items are returned by tue 28th July. 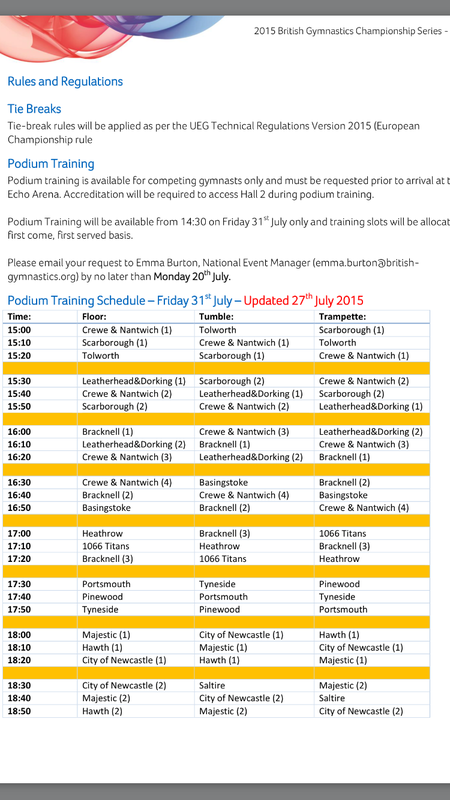 Podium training slots have been allocated for both the Friday and Saturday evening. 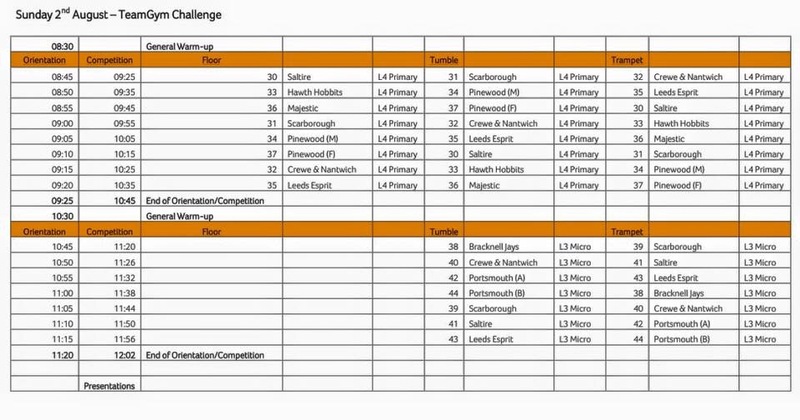 Please wear gym hoodie and training leotard / remember to bring floor routine socks if your child’s team wears them. 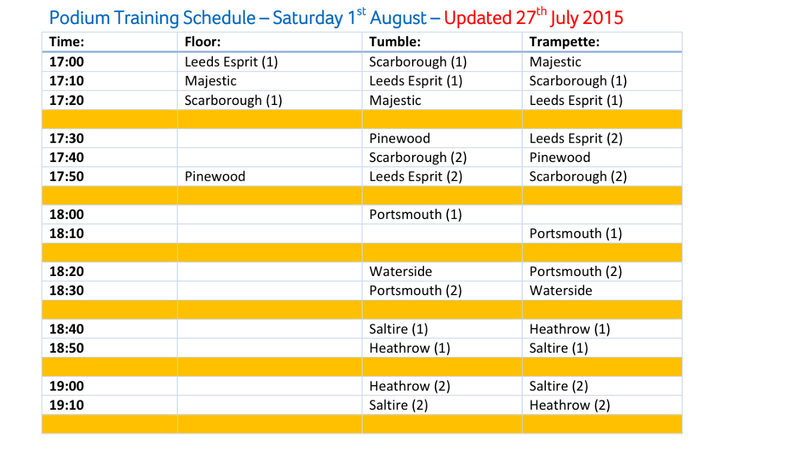 Youth Boys Micro Podium Training warm up – 5.10pm – Saturday 1st August.